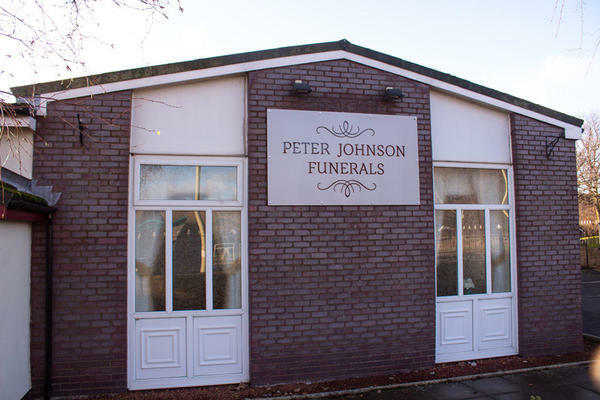 Serving our local community in South Shields, Peter Johnson Funeral Directors are funeral professionals, providing dignified funeral services. As with all of the families in our care, we will work closely with you carefully plan a meaningful celebration of life for your loved one. We provide the highest standards of funeral care, service and facilities. Our funeral home has four private chapels of rest, which are all tastefully decorated, and available for you to use to spend time with your loved one prior to the funeral. We also have a private arranging room, and two quiet rooms which can be closed off to provide extra privacy. We are always here to support you, and you can reach us by telephone 24 hours a day. Whenever you need us most, simply give us a call. Call us today on 0191 536 0555 to talk through your personal requirements. There is parking for up to eight cars at the funeral home. We are approximately 300 yards from John Reid Road, near to the district hospital. Our staff are available 24 hours a day on 0191 536 0555 if you require our services outside of these hours.